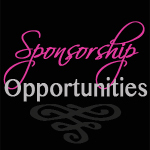 We are pleased to present you with sponsorship packages to support The Single Wives Club Mission. You may also request a custom package, which we can personalize to meet your company’s special branding and marketing needs by sending an email to jmcpherson@thesinglewivesclub.com. A Preferred Partner commits to a strategic relationship wherein Preferred Partner promotes ongoing events and programs at their establishment and/or via their website. Additionally, preferred partners will provide a discount or promotion to Single Wives Club members.